You don't need a dizzying array of closet organizing ideas to make your linens look tidy. You just need a few good habits and a great foundation from The Closet Works. Much of linen closet organization comes down to consistency: When you find an organization method that works, keep it going. If you're not sure where to begin, here are a few simple and effective ideas for taming what's sometimes the messiest closet in the house. Do you have a certain way that you like to fold your bath towels? Great! Consistent folding is one of the simplest ways to keep a linen closet looking uniform. Decide on one method for each of the linens that you store, and stack them up the same way every time. This applies to everything in the closet. It doesn't necessarily matter how you fold and stack towels, washcloths, bed linens, blankets and everything else. It mostly matters that you find a method that works and stick with it. We know; you've got better things to do with your time than take a course on linen folding. But as the persona non grata of the linen closet, messy fitted sheets make the whole space look rumpled. Wrangle them into submission, and your sheets will look nicer and stay balanced in their tidy stacks. Chances are you've made the job of folding a fitted sheet a lot more difficult than it really is. All it takes is a technique, not a comprehensive skill set. Tuck corners together and fold them over, and you've got a mostly flat sheet to work with. Check out this Martha Stewart method. It's simple and effective. How many times have you searched for one renegade pillowcase before making the bed? Want to know how to avoid that problem forever? Stack and store complete sheet sets together instead of making separate stacks for each type of bed linen. That way, all you need to do is open the linen closet and grab a stack. Everything you need will be in one spot. To take that method a step further, think about storing complete sheet sets inside one pillowcase. Fold everything, stack it neatly and then slip the stack inside one of the set's pillowcases. 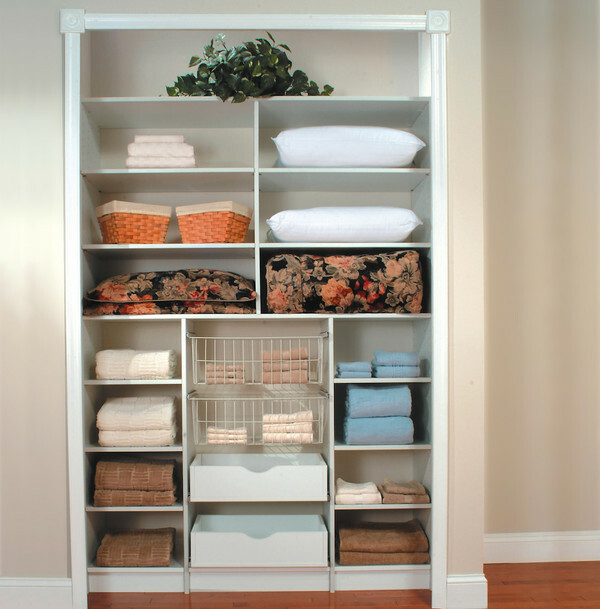 You'll have organized stacks on the shelf, and your entire linen closet will stay tidy. A linen closet with nothing but shelves is only half as efficient as it could be. Your closet organizing ideas could include a whole suite of components that make storage easier and neater. For example, if your sheet stacks tip over no matter what you do, the solution is a simple one. Add cubbies to your linen closet, and they'll keep everything upright and organized. This is also a great method for storing washcloths and other small items. Incorporate shelves in a wide range of heights, and you'll have a linen closet with custom spaces for thick pillows, comforters, smaller hand towels and all sorts of items. Another great idea is adding a sliding pants rack. This is a take on the Better Homes and Gardens recommendation of hanging, not stacking, table linens. Pants racks have a row of rods which are typically used for hanging slacks neatly. In the linen closet, you can drape over tablecloths to minimize folded creases and save valuable shelf space. When you think about it, linen closets don't get a lot of respect. People reach in to grab a towel, and the stack falls over. Fitted sheets look messy, and who knows where that beautiful set of Irish lace pillowcases disappeared to. But it doesn't have to be that way. 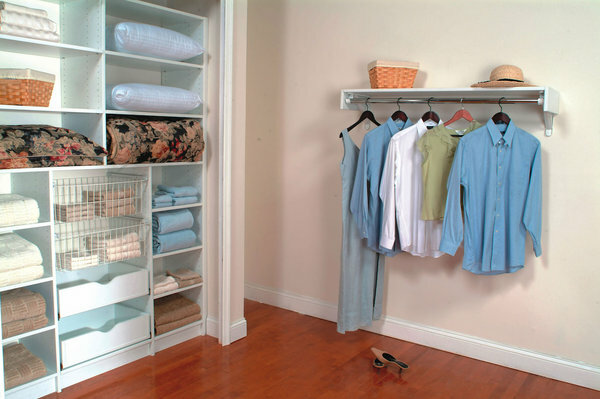 Our designers at The Closet Works can help you create a smart, streamlined linen closet. Say goodbye to a disorganized mess, and hello to a whole new way of organizing. Schedule a free design consultation today and finally win the losing battle with your linen closet.